This is a sad time for me, as I absolutely love KFC, especially the spicy chicken and the gravy. 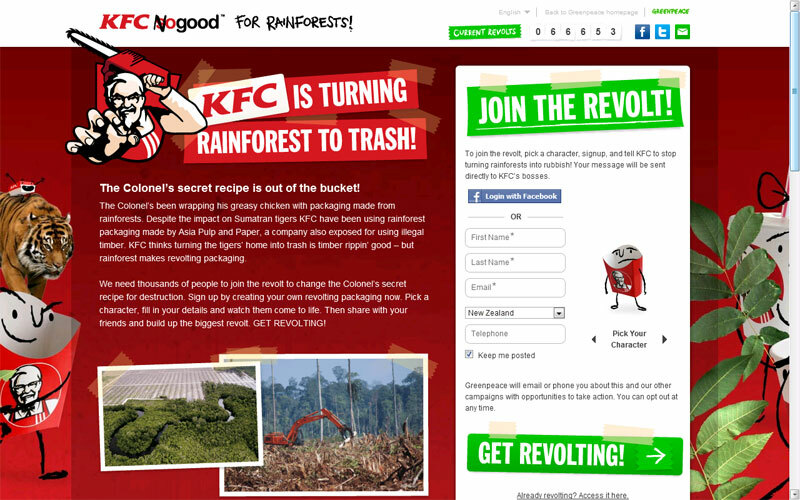 But I have just found out that KFC uses packaging made by Asia Pulp and Paper, which is a company known for clearing the rainforest in Indonesia. We know how fragile the rainforest ecosystem is. Once a patch of it is ravaged, the flora and fauna living there is gone. The critically endangered Sumatran Tiger is here as well. Once the rainforest is gone, who do you think is next? 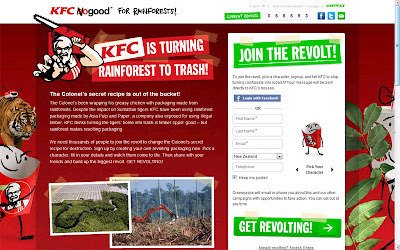 I join Greenpeace's efforts in revolting against KFC for using non-sustainable packaging, and for contributing to rainforest destruction. No more KFC for me!